Greenfield Products Inc. Anchor Pulley by Greenfield at Wildly World. SKU: 238-4. MPN: 4. Hurry! Limited time offer. Offer valid only while supplies last. Low cost, positive action, instant lock & release, accepts 1/2î rope. Use on each end of the boat. 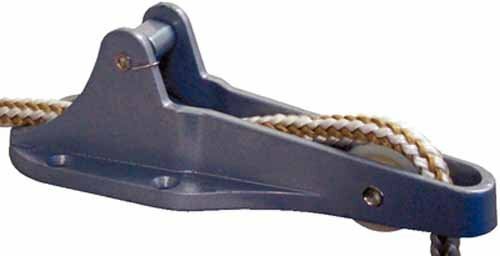 Low cost, positive action, instant lock & release, accepts 1/2î rope. Use on each end of the boat. Bulk. For use with anchors up to 16 lbs. For use on small watercraft up to 16 ft.